Light up the day today for a friend or loved one! 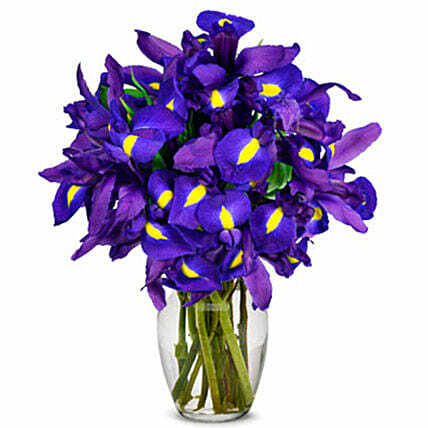 Send your love with the always popular blue iris bouquet. Blue iris flowers mean faith and hope, so they are the perfect flowers to send to celebrate a new baby, to say get well or that you are thinking of them today. With their unique blue petals and yellow centers, they are sure to bring a smile to the face of the recipent when delivered to their door.